A 24 Hour Locksmith provides outstanding car locksmith services in Sacramento, CA. The company’s mission is to help its customers out of any auto locksmith related jams they find themselves in. We understand that our customers need our assistance urgently and know that availability of a professional locksmith is one of their main concerns, therefore our auto locksmiths provide round the clock service. We are available 24/7, every day of the year, so if you are locked out your car at in the middle of the night, even if it’s a holiday, we will be there for you. In need of auto locksmith assistance in Sacramento, CA? Give our 24hour phone service a call and someone will help you promptly. Our phone representatives can answer your questions and they will provide you with a free price quote before immediately dispatching a car locksmith to your location. You will not have to wait long for our locksmith to arrive at your location. Our prices are also very competitive and affordable. A 24 Hour Locksmith is fully insured, licensed and bonded, so you can be sure that you are working with professionals. Car lockouts happen a lot. Keys are lost or stolen and sometimes they just break. Whatever the reason you’re locked out of your vehicle, we will be able to help. 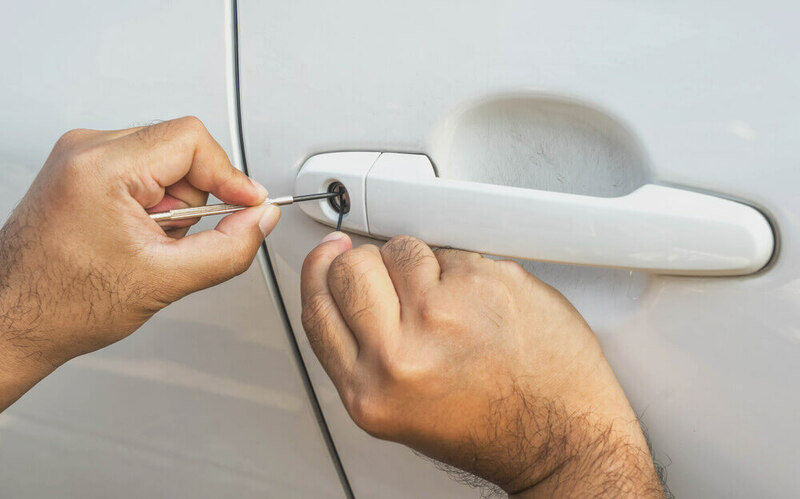 Our locksmiths have plenty of experience in dealing with lockouts of all types of vehicles, including most makes and models of cars. They are able to cut a new key, right there on the spot, even if you do not have the original. Another service that we provide more often than you would expect is the removal of broken keys from the ignition switch. As with most objects that are used daily, keys also break after a certain amount of wear and tear. Often this happens while they are in the ignition switch. If this happens, we suggest calling a professional car locksmith right away, in order to prevent any further damage to your switch. Transponder keys do a great job protecting cars against theft, but this means that if they malfunction you will need a professional to repair them. Our car locksmiths can reprogram your transponder key, so if you’re experiencing problems or have lost your key, just give us a call. Even the locks on car trunks malfunction occasionally, sometimes they may even cause urgent situations, for example, if a customer needs to take frozen groceries that are stored there out (yes, that has happened). A 24 Hour Locksmith will have this taken care of for you in a jiffy. For all your auto locksmith needs including car key programming, fix car key and solutions for car lock out. A 24 Hour Locksmith Sacramento offers a mobile auto locksmith service that can reach your location fast. We service trucks, cars and motorcycles. We & our affiliate network of independent automotive technicians are available 24 hours a day, 365 days a year and can respond to your location instantly. No matter what your auto emergency locksmith need is, we have a wide variety of locksmith solutions for you. Do You Need a Car Locksmith Service? If you’re in need of any of these car locksmith services in Sacramento, CA, don’t hesitate to give us a call.